Dániel Dobos' submission titled Drumul Dracului won first prize in the composition round of the Bartók World Competition and Festival, which proved to be especially popular this year. 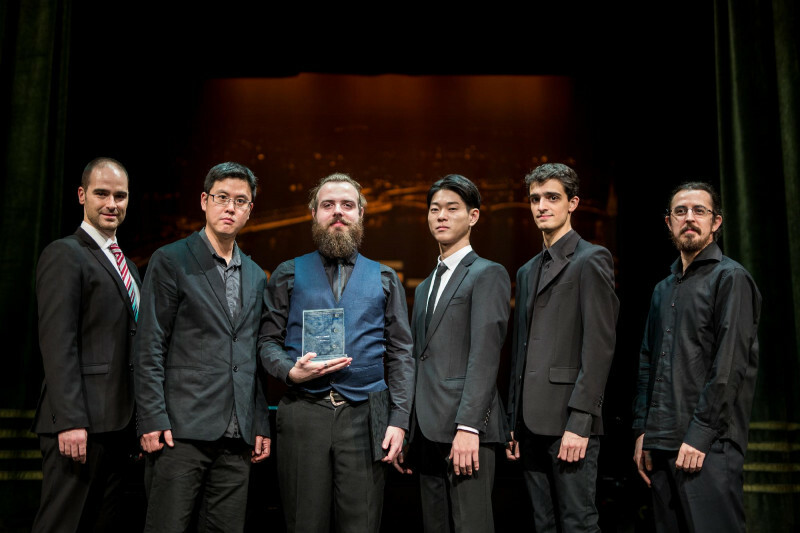 The second prize-winning submission was a piano composition by Sang Un Kang from the Republic of Korea, and the third prize was jointly awarded to a South Korean and a Hungarian composer by the jury consisting of internationally renowned composers and performers: Dongryul Lee and János Mátyás Stark were both rewarded for their submissions. The prizes were awarded on 25 November at the Liszt Academy of Music, during a celebratory gala dotted with excerpts from Bartók’s letters. 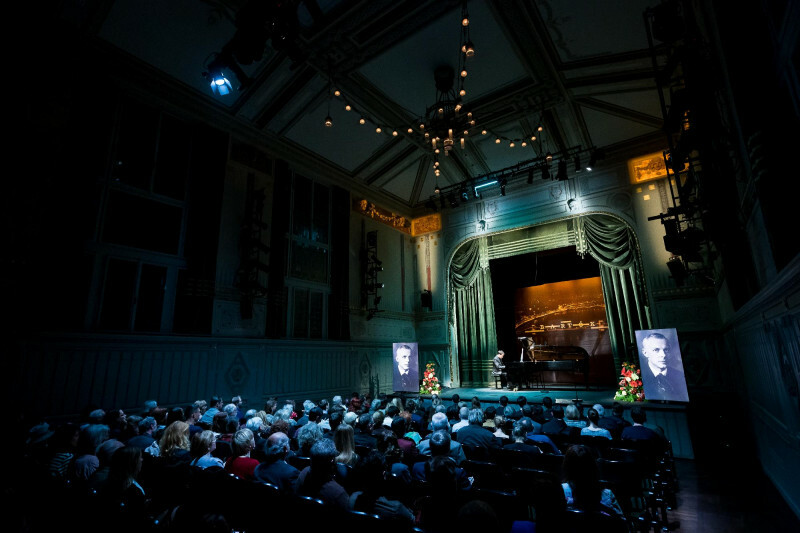 The best compositions were performed at the gala by outstanding pianists such as János Balázs, Balázs Fülei and Balázs Kálvin. Over two-hundred composers – all under 40, as per the rules – created pieces for the 2018 composition round of the Bartók World Competition of the Liszt Academy of Music. Including 25 Hungarian applicants, altogether 214 submissions (5-6 minute-long solo piano pieces) were submitted from 53 countries. Most applicants were Italian, American or South Korean, but there were also submissions from Uzbekistan, Mexico, and Iran. Unsuk Chin, Seoul-born Gravemeyer Award and Arnold Schoenberg Prize-winner composer from Berlin, who was a disciple of György Ligeti; Professor Chaya Czernowin, founder of the Schloss Solitude Summer Academy for composers; Andrei Korobeinikov, outstanding pianist with an extensive touring history, who graduated from Moscow Tchaikovsky Conservatory at the age of 19; and Gyula Fekete, Vice-President of Research and International Affairs, and art director of the competition. Dániel Dobos, born 1994, is a second year graduate student of composition at the Liszt Academy. He has won several prizes at both national and international composition competitions since 2010. He won second prize at the 4th Béla Bartók National Composition Competition in 2014, first prize at the Liszt Academy’s Composition Competition in 2016, and second prize for his composition inspired by Hungarian folk music submitted for the competition announced by the Hungarian Composers’ Union commemorating the 135th anniversary of Zoltán Kodály’s birth. Young South Korean composers Sang Un Kang and Dongryul Lee came second and third. The third place is shared with talented young Hungarian contestant János Mátyás Stark. 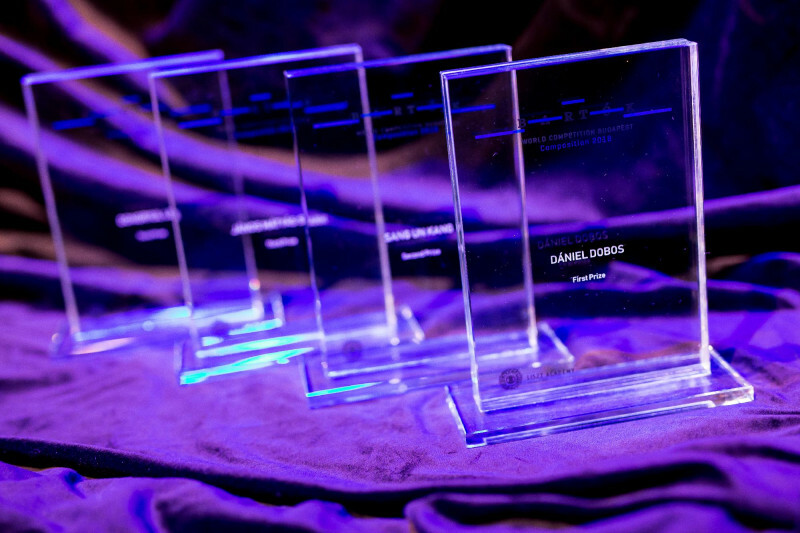 The special prize of the Hungarian Musical Society for best Hungarian contestant went to Dániel Dobos. The composition of the prize winner is performed at the MINI Festival in 2019. 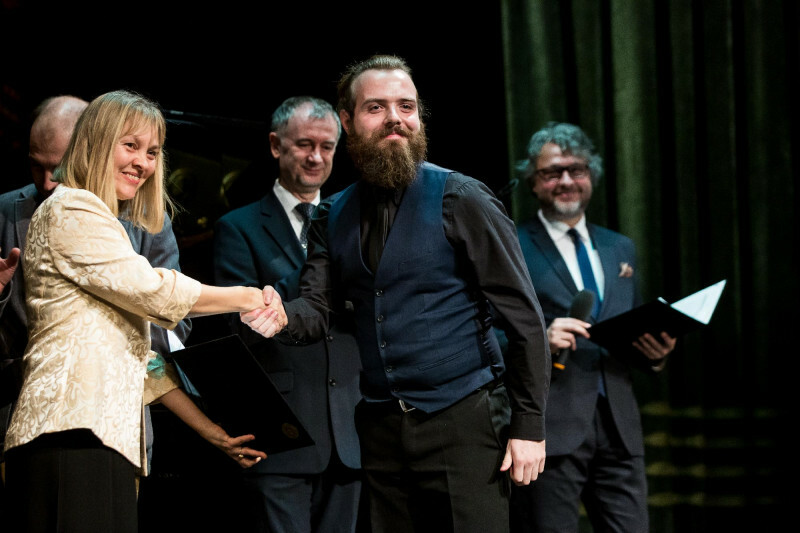 Artisjus Award and Junior Príma Award-winnig pianist Péter Kiss, a member of the pre-screening jury, has also offered a special prize: he will include János Mátyás Stark's piece Toccata in one of his concerts in the 2019 season. Among the special prizes awarded, Editio Musica Budapest has offered to publish Dániel Dobos' and János Mátyás Stark's compositions, and STUDIO 5 has rewarded Alberto Alassio with an opportunity for his solo piano piece titled Bembe to be performed at the artistic group's 'Kritikán felül' concert on 9 March 2019 at the Solti Hall of the Liszt Academy. The Bartók Word Competition has a six-year cycle based on the most characteristic traits of Bartók’s body of work: it focuses on piano, violin and chamber music, as well as composition. It started in 2017 with a violin competition, and this year it continued with a composition competition. Internationally renowned jury members (composers and performers) from abroad have accepted the invitation of the Liszt Academy for both rounds of the competition. In accordance with the rules of the Bartók World Competition and Festival, the compulsory contemporary material of the piano round in 2019 will be a repertoire mostly consisting of Bartók’s works, and it will also include two selected submissions of this year's composition round. The extraordinary success of the violin round in 2017 and the composition round in 2018 amply demonstrates the legitimacy of the professional concept of the Hungarian world competition, and proves Bartók’s mobilising power. It is evident that the international music scene has faith in the continuation of the competition, which put Hungary in the limelight in connection with the Bartók traditions, a unique competition structure, and the realization process.